PepsiAmericas Inc. (NYSE: PAS) and Pepsico, Inc. (NYSE: PEP) acquired remaining 20% stake in Sandora LLC for $136.7 million on November 5, 2007. The transaction is not expected to have an impact on PepsiAmericas’ nor PepsiCo’s earnings per share for 2007. 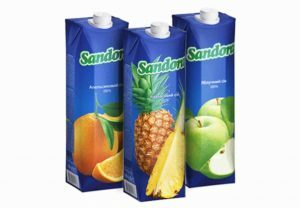 Following the deal, PepsiAmericas Inc. and Pepsico, Inc. will own 60% and 40% stake in Sandora LLC respectively. Citigroup, Inc. acted as financial advisor to PepsiAmericas, Inc. and Pepsico, Inc. PepsiAmericas Inc. and Pepsico, Inc. completed the acquisition of remaining 20% stake in Sandora LLC on November 5, 2007.